In 1945, Gant Redmon was working at the E. St. Louis, Illinois stockyards. Having obtained a college education, he began selling insurance in the evenings out of his home-based office in Collinsville, Illinois. After a short part-time tenure in insurance, he transitioned into a full-time insurance agent. He aggressively grew the business by providing clients with excellent service and working very long hours, combined with an honest and direct approach. Bogie Redmon, Gant and Doris Redmon's son, graduated from the University of Illinois in 1965 and, upon graduation, started in the family business with his father Gant. As Bogie was an all-American high school and college basketball player at the University of Illinois, he was widely recognized, both within the community and throughout the state of Illinois as an accomplished sports figure. However, all who know Bogie recognize him primarily for his honesty, integrity and down-to-earth qualities. In 2005 Kai Redmon, having secured a bachelors degree in business and master degrees in both safety and health, and business administration (MBA), and with over fifteen years experience up to and including senior level management positions, transitioned into a career as a third generation agent in our family's Collinsville, Illinois agency. In 2015 we expanded our business to include a second office in Edwardsville, IL. 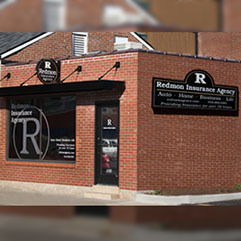 With over 70 years of providing insurance options for valued clients based on a foundation of honesty, integrity and service, the Redmon Insurance Agency partners with a number of industry-leading regional and national insurance providers. Having multiple insurance providers we work with means more and better low-cost options for our clients, while continuing to provide superior service, both from our agency and from our insurance providers. 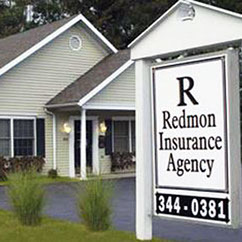 While continuing to offer personal lines insurance (auto, home, and life insurance), the Redmon Insurance Agency has greatly expanded business insurance options for the small, medium, large and hard-to-place business owner. Our approach has always been and continues to be very simple...a down-to-earth and straight forward approach based on honesty, integrity and trust in our agency, the client is assured both competitive rates and superior service. Thank you and please give us a call or stop in...we would appreciate the opportunity to earn your business!